This Menu will be used to keep folks up to date on trail conditions and issues concerning trail advocacy. Well after the Substance Projects race on the weekend the trails are in great shape. I got out for a ride Sunday and the trails are cleared, dried up and in better shape than they where last week. All trails are good to go and tomorrows rain will just make them better. Have a great ride. Enjoy! We got out for a ride last night and stuck to Ridge Connector, Ridge, Lollipop, Trail-to-nowhere, trail-to-somewhere and Stick. We had a great ride. The frost is still coming out in a few places which has caused some tracks in the soft dirt for some short bits but it’s nothing that we can’t easily rectify so no problem. There was still ice on Ken’s trail last weekend so if possible maybe avoid the Ken’s/Steve’s/Wheel hill section for a bit. The warm weather this week will likely help finish everything up. Trails are awesome. 15km of groomed single track all set for Fat Bikes. Please watch the temperatures coming up to avoid trail damage….use the 1/2 inch depression (rut) as a guideline. If you find you are digging in deeper then just head out on the Sled trail for a scoot! Anyway, I think everything that has been groomed is good to go with a Fat Bike for the weekend. It’s been powder snow so likely the best way to keep packing it is on the bike. So head out and enjoy the Forest! A collective of us have been out riding & grooming since Wednesday and slowly things are maybe starting to come together. I know various folks have done many different sections so I’m going to get out today with bike and snowshoes and check everything out and get in some more grooming to try and finish everything off. I’ll report back in later today as to what is rideable and conditions. Hopefully a “Family Day Group Ride” tommorrow!? Meanwhile, keep on grooming! Thanks to everyone who has helped groom to keep the dream alive, single track riding 12 months a year! Last night 5 of us got out for a snowshoe and grooming session. Awesome night out there! Shawna, BF Brian and Roy were breaking trail and Vince and I followed them both with groomers. There is lots of fresh powdery snow out there and we thought it best to stick together to pack it as much as possible hence the double groomer. We were out for 2.5 hours and did about 10km…out on the stick, right on the lolly, right-left on the double track connector to the ridge connector and back on the 1st half of the ridge connector to the beginning. I would suspect that it will take a bit for this to set up for riding as we were fresh tracks the whole way and there was at least 6-8 inches to pack down. It will likely require another quick snowshoe with the groomer to “top dress” the trail and smooth it out before it’s good to ride. Next step…quick snowshoe out on either trail and continue from there to link ridge and lolly up together. There is some great weather shaping up…up to just above zero then cold again. Both groomers are back at the start so they can go out in either direction and be left out there remotely so we can hopefully get some ride/snowshoe & grooming in over the weekend. The snowmobile trail was being groomed while we were out there and the parking lot is cleared. That’s it for now, stay tuned for more updates as things progress. I expect we’ll have a good loop set up by the end of the weekend. I was away for a bit so I apologize for the lack of updates lately. As winter keeps playing havoc with us there have been lots of people out to try and stay on top of the trails. I did get out for a snowshoe/groom on Monday afternoon to check things out. First, careful in the parking lot…it is a sheet of ice. I didn’t venture down the stick or ridge connector sections of trails. The beginning of the stick was ice. I headed to Ken’s/Steve’s and snowshoed and groomed a section where there was a lone hiker…thought it would be good to get rid of the post holes. I stopped grooming where the hiker left the trail as it looked like it may be possible to ride the remainder of the trail (it’s at least worth a go) and I think grooming it would of just encouraged ice. So I just broke different trail and groomed random trails we don’t normally use and linked it in to almost the ridge connector trail. A snowmobile had been adventuring around the forest which once frozen may be a good option for some riding. The snowmobile trail will be completely rideable. I’m going to let the week pass, get out for some rides and I’ll update for the weekend. I got out yesterday for a great Fat Bike ride. I rode all the single track in DCF and it was all in amazing condition. All 8-12 inches wide, nicely packed snow and almost zero ice. No need for studs for sure. If you can stay warm, trails will be great this weekend. Enjoy the sweet groomed Fat Bike single track! Trails are awesome. All hard packed snow, virtually no ice. All 28km’s open for sweet single track Fat Biking. Enjoy. I got out for a snowshoe this afternoon to check things out. It was a beautiful day in the Forest…blue sky and fresh snow! There are about 3 inches of fresh powder snow on top of the frozen (read icy) trail underneath. A couple riders where out today and you could definitely tell it was very slippery in spots. I snowshoed the Max Trail and part of the Ridge Connector, then took the short cut double track to the last 1/4 of the Lollypop to the Stick. I picked up the groomer and groomed the Stick back to the parking lot. So that’s about 8-10 km packed down. I hope by packing it it may start to stick to the ice below…we’ll see. No one had been on the beginning of the Lolly yet, it’s still fresh powder. So one groomer is back at the beginning and the other is at the end of the Trail to nowhere by the Trail to somewhere intersection points. It should be good to ride, just be careful in the corners and downhills! With more riding the grip should continue to get better. 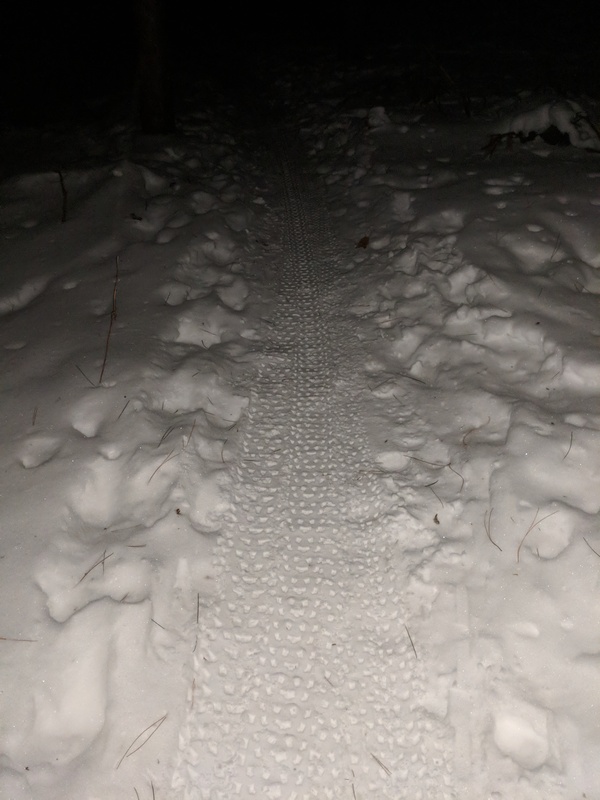 Hello all, trails are in amazing shape, we had what I think was our best Fat Bike ride so far this year on Wednesday Night. Lots of fresh powder snow on hard packed base. Get out and ride!! All trails are open for Fat Biking (skinny tires (or plus size) not a great idea as it’s still going to be a bit soft until it re-freezes). Got out for a short scoot today. Definitely a mix, ice, dirt, and snow. When it’s icy you really need to pay attention…actually you always need to keep your head up as it can change fast. The ridge is pure dirt fun, trail to now where is pretty good as is Ken’s/Steve’s. Didn’t do the stick or lolly as I figured that would be the slickest. Trails are fantastic! Dan, Andy and myself (as well as someone I didn’t know who was grooming…thanks!) got out over the weekend. Ridge connector, Ridge, Lollypop, Stick, Trail to nowhere all groomed and hard packed. No ice, no dirt just go fast snow covered Fat Bike trails. Tree down before the “double log” has been removed. You can get a solid 20km pure single track ride in no problem. Chris and I got out last night for a scoot and had a great ride! We didn’t know what to expect but everything was in excellent shape. Mostly snow covered, some dirt trails (along the ridge and other random spots) and very little ice (one really slick spot right at the first few turns in the single track). We rode everything but Ken’s & Steve’s and it was all fast and fun. Looks like a great week ahead and the weekend looks perfect so should be a great time for an awesome group ride. I was out yesterday for a ride. Trails are in absolutely great shape after all the snowshoeing & grooming efforts combined with a good number of consistent fat bike riders. There is several inches of packed snow with very little ice. Having said that it’s already above freezing this morning (8:30am) and just getting warmer (plus 2 today and plus 10 tomorrow!). It would be detrimental to the trails to either ride or hike them this weekend. Riding and hiking the trails will just leave indentations that will freeze in the trail and they are tough to get ride off. You may be able to get in a Fat Bike ride this morning before it warms up too much. Sunday…no way. If you are ever on the trails use the 1/2 depression County Code of Conduct ByLaw rule which states if you are leaving more than a 1/2 depression you are to refrain from using the trail. There is still lots of winter ahead! Thanks for respecting all the hard work put in by everyone so far. Time to start this again. The snow looks like it is going to be staying in Dufferin Forest awhile so it’s fat bike season! (at least for now). A group of us (15 or so) got out on the weekend and started “grooming”. This is basically snowshoeing while pulling the “groomer” (a trailer tire) behind you. We got 8km’s out of the normal 14km that we try and keep open all winter. We rode last night and the conditions where awesome! Lots of traction and you can still ride all the trails with a Fat Bike. The difference was very noticeable from the groomed trails to the ones that where just ridden on. They were wider with no tire trough and less icy so our efforts were definitely worth it. The groomed trails you could ride like single track, lots of fun speed and corners to rail through. Wednesday night should be great and hopefully next day above zero we can get the rest groomed. Still 2/3rds of the lolly, part of the ridge connector and ridge to go. There is a groomer left at the red arrow tree so anyone could ride to it packing their snowshoes, switch to shoes, groom a bit and return to the bike for a ride out. We had lots of folks helping out last year and it was the best Fat Bike year I’ve experienced out there. So nice to be able to continue riding real single track trails all winter while still having the more “open trails” (snowmobile groomed trails) as an option. So thanks to everyone who pulled the groomer! What can be said…trails are in great shape, minimal damage from the awesome loggers that finished last week. All trails are open with obvious fall leaf coverage. It’s lovely out there. Happy to report all is good to go! Have a great time out there. Lots of folks checking in about trail conditions which is great that everyone is expressing concern regarding trail damage. I was out Friday night for a run to check out the trails. The “South Side” (trails to the south of the main east-west fire road from the parking lot). Hill Trail, Ridge Connector, Ridge, Stick and Lollypop, Trail to no-where & Wheel Hill are all good to go for skinny tires. A few soft spots but nothing to be concerned about. 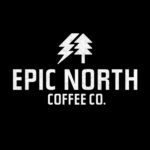 The “North Side” should be good by next week…still some ice and more soft stuff on that side (thanks to Chris for his scouting yesterday on the North side) so why not avoid that for one more week (or at least fat bike only) as there is still lots of trail to ride. Enjoy the trails! Got out for a run today and the trails are still in great shape. Everything that had gotten groomed last week is really good and the other stuff a bit more work. But overall worth getting out. Mostly hard packed snow with some icy spots. This is likely all going to change quickly over the next few days so please ride according to the conditions….no ruts please! So 6 of us got out for a snowshoe grooming session today. Ed, Kathy, Vince & Eddy snowshoed the Stick to the red arrow tree and back. Karen and I snowshoed with the groomer 3/4 of the way and back on the Ridge Connector Trails. So where does that put us? Well hopefully the trails firm up over the next day or so. The stick should be rideable first. So a plan could be to ride to the red arrow tree, snowshoe the lollypop (there is still a groomer at the Ridge-Lollypop intersection) with the groomer and ride back with it to finish grooming the Stick. Or just even groom the Stick and back with the groomer that is at the start of the trails. If the Ridge Connector is firm enough (please refrain from it if it’s soft as only two of us packed it down) we could ride to where we ended, snowshoe the rest and the Ridge Trail then hook up the groomer at the Ridge-lolly intersection and return back. Lots of options so just do what you like! Some nice milder weather coming up which should help firm up the trails once they are groomed. As always if you are leaving a rut behind please don’t ride as the trails are going to soften and freeze again this week. Looking ahead in the forecast it looks like we may get a break from heavy snowfalls so we can enjoy our efforts. Have fun! Short and sweet…trails are, to quote Chris W., wicked. Go out and ride! Well over 14 folks got out yesterday snowshoeing and grooming the fresh snow. It was a beautiful day for a snowshoe. It was a real collective of users of the trail and the large number accomplished a lot. Basically our “normal” 15 km Fat Bike single track loop has all been snowshoed and regroomed with the TVGGroomers. The groomers are back at the start of the trail. The “mule mention” goes out to Eric and from description, Wayne and Steve and his wife all put in some serious km’s pulling the groomer. This was a great effort with everyone out there putting in between 7-12 km’s of work each. Thanks to everyone, from everyone. Karen got out for a run this morning and reported in that the base firmed up extremely well overnight and the conditions are now a few cm’s of powder snow on top of hard packed trails. All good to go! 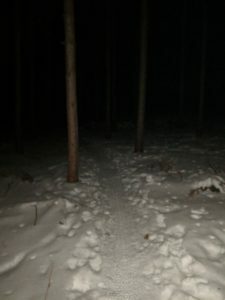 A final note to remind everyone to be cautious when crossing fire roads as they are used by cross country skiers and in the few short bits that we need to connect to trails, if they are groomed for skiing, do not ride in the track set. Ride to the far side of the double track. Chris W. reported in that he got out for a groom on Thursday. He did Ridge Connection trails, Ridge, 1/2 lolly & stick. I got out for a run yesterday and there’s Chris W. doing his groom loop again! Two days in a row…the man is a machine. We need to buy that man a beverage next time we are out! Thanks Chris! The trails are ridable again thanks to everyone’s collective efforts. The Ridge stuff is excellent and the lolly and stick are getting much better, but the ruts still prevail in places. More snow coming tonight so hopefully it keeps getting better. All we can do is keep grooming in the new snow. We had twelve of us out last night for a great ride! The usual Fat Bike trails were all ridden and survived the mild weather and rain very well. They all had a bit of fresh snow on them so everything last night was fresh tracks. Traction was very good with enough ice hidden under the snow to keep you on your toes. So if you head out for a ride just be cautious as the icy parts will sneak up on you. The weather is going to warm back up (again) which should make things better as the hope will be that the snow melts into the ice and then freezes back up. Please ride accordingly to the weather and please avoid rutting out the trails as they are going to freeze back up next week. Looking ahead to the weekend, Sunday morning looks like the best day…below freezing Sat night and a bit cooler during the daytime. If they don’t get damaged during the plus temps they should be great on Sunday. A great group of folks where out there today snowshoeing, skiing, grooming and riding. The Stick hardened up nicely overnight as did the Ridge connector section that was snowshoed yesterday. The “Honda crew” where out this morning snowshoeing the lollypop. Part of our group re-groomed the Stick and the first half of the lollypop, then snowshed the Ridge. There were others doing the ridge and some riders had ridden the remainder of the Ridge connector. This all allowed us to ride and groom most of the trails. Still a bit more to run the groomer over (second half of lollypop. The ridge trail was being stubborn because of the high winds causing drifting). The 14 km out there is basically all ridable except the first half of the Ridge. It will likely need a quick shoe-and-groom. The mild weather coming up will likely help out once the temps drop back down below zero. If we can avoid rutting up the trails in the warm periods we should be in excellent shape. Because there have been so many people out working together to groom the trails, we have added a second groomer! Now we have two of them out there that can be pulled around whenever someone feels like it. One currently is at the start of the trails at the SSITT connector turn off and number two is out on the lollypop at the Ridge connection point. It never hurts to pull it around for a bit as the more the trails have the groomer pulled over them, the better they get. As a note, I have found it works much better to have it attached to your hydration/backpack then your bike. Thanks again to the efforts of many, it’s great to still be riding single track. Keep up the great work. To continue a tradition that is longer than the word tradition has been used, the Wednesday Night Ride was out with a good group last night, with 11 fat bikers in total! The bitter cold, blowing gusting wind, pelted in the face by snow the entire time, being chased by a pack of wolves, did not detour anyone. Well to be honest it was a beautiful night, -8 degrees, a little bit of a breeze in the parking lot, and nice packed snow on the trails. There has been a huge effort by many people to ride, snowshoe, and pack down the single track to keep it rideable. So first off a huge thank you to those people. Secondly, it was amazing to see so many fat bike tire marks in the parking lot, the more folks riding the loop the better to keep it firm and rideable for all. Thirdly, is a really odd word, secondly I can understand but thirdly just doesn’t have the same ring, and don’t get me started on Fourthly…. I took a couple photos, which are below of the trail, and to be honest with you the whole loop we rode is like this. This loop totaled us with 16km of pure singletrack heaven. 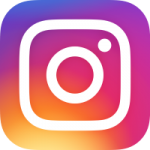 For anyone who wants a quick direction, hit the contact us button, shoot us an email, and I can pass along the gps loop from Garmin. Throughout the ride, you would hear, laughter, bell’s being rung, the odd “Umpf” from someone who decided it was a perfect location for an Impact Angel. For anyone who doesn’t know what an Impact Angel is, if Webster’s dictionary were to define it, it is when a rider unwillingly departs from their bike and lands off the trail in the snow. The way the trail’s were last night though there were not a lot of impact angels to be had, still some, but not a lot. Overall the trails in Dufferin are in perfect condition! So if you want to venture out, now is the perfect time to hit the trails. We are due for 5-10cm of snow, which if people are riding in the forest during the snow, it will pack the trails in even better. Have a great day and enjoy the forest. We had a nice combo of trail enjoyers out today. Three snowshoers, one trail runner and 5 Fat Bikers all out enjoying the day and the great trail conditions. There has been a number of folks out working hard to keep the trails in great condition. It seems every time a trail could use a bit of touching up or repair someone has stepped up and taken it on. As a result we got to ride 16kms of single track today! Hill Bypass, Max, RC, Ridge, full lollypop and Stick. All in nice fast hard packed condition. The snowshoe, ride, groomer combo (not necessarily in that order) has proven to be a good combo. To everyone who is helping out (you all know who you are) thanks for keeping us on sweet single track! This has been a real community effort and it’s great to see the desire and deternimation out there. On another topic, Mansfield Outdoor Centre has now gotten their XC ski trails groomed. The trails do cross in a number of places out there and there are a couple of times we share a very short section. On the short shared sections, please keep way over to the side of the trail and never ride in the set tracks. As skiers and bikers are both quite quiet we need to keep our heads up when crossing over the ski trails. No one wants to spook anyone or be a part of an accident. To help with this I’m going to start marking anytime the single track is about to cross a ski trail. We are going to attach a strip of orange flagging tape to a tree or branch before the crossing occurs just to indicate it is coming up soon. We will be doing this over the next week or so. So when you see the orange tape just slow down a bit and keep your head up for skiers out there enjoying the forest. Thanks! A great group got out today. 8 Fat Bikers and 3 snowshoers. The groomer had returned to the parking lot so I decided to take it on tour and we rode the Hill bypass, Max, Ridge Connector, Ridge, 1/2 lollypop and stick out. The HBP,Max & RC was still a bit of a tough go. We got through it and it’s mostly rideable but one more round of snowshoe and groomer treatment would make it amazing. The ridge was great and the lollypop & stick were super great. The groomer made the full tour and it is now at the right turn off to the Hill by Pass trail on the stick when you first set out. Again, please let me know where it ends up so I can post it’s location for the next groomer volunteer. Best to leave it in a bit on the trail as oppose to at the parking lot. Thanks to all the efforts out there so far. Lots of people have already taken their turn at working to keep the trails going during the winter. With the dedication I’ve seen so far, from the snowshoe group and the groomer pullers I’m sure we can keep this going during the winter. It’s so much fun being able to keep riding single track during the snowy months. It’s both lucky and lovely to be able to be out in the woods on a lovely winter day. A bunch of us got out today…kind of a mishmash of things going on for our quest for single track! Andy got out this morning for a snowshoe and started setting the Hill Bypass, and Max Trail. Then if I had to guess Tyler II got out for a ride (?). Myself, Andy, Shawna, Eric, Joe, Mike, Brian, Bernie and Karen headed out this afternoon with special guests Sue and Mike as well! A great crowd out to enjoy the -13 degree day! Karen, Sue and Mike snowshoed the Hill Bypass section, Bernie snowshoed and utilized our new human powered “groomer” and the rest of us rode the “Stick”. Brian and Andy did an out and back on the Stick and Mike, Joe, Eric Shawna and I rode to the red arrow tree then snowshoed the “Lollypop” and then rode back on the stick. Temperature at the end, -17 degrees! So….the “Stick” is completely rideable. the lollypop?…maybe. The hill bypass, Max trail…maybe. Still need to finish snowshoeing the last bit of the “Ridge Connector” and Ridge trail (sorry, I’m done with the quotey thingamajigs). So the ride and snowshoe plan continues. We need to finish off the ridge connector and ridge trail. That would be priority #1. It will require a ride as far as you can go then a snowshoe from there so bring them along in your backback. Then we will have it all snowshoed in. Then we need to ride it and see how it goes. The new TVG “groomer” (ok, I used the quotey things again!). It’s a 16 inch overall diameter trailer tire. It has a rope attached to it. We are not making it heavy as the intent is not to use it to actually pack the trail more to just smooth it off. It will be out there on the trail somewhere and the idea is that if you feel like doing so, hook it up to your bike, pack, waist…whatever, and pull it around a bit where ever you are and whatever you are doing. Do as much as you like then leave it somewhere obvious so the next person can continue. It does not have to return to the parking lot or where you started from, just do what you feel like. If we all take our turn it will continue to cover all the trails we are trying to keep open. And it’s environmentally friendly! Well I hope that was all enjoyed by everyone. With the awesome community of folks out there we can keep this going! It’s just great to have the trails open to give anyone the opportunity to get outside and enjoy the forest….we are so lucky. So I got out for a snowshoe this afternoon…we definitely have gotten some snow since last update! Here’s where we are at. Shawna and Eric got out the other day for a snowshoe after it snowed. They did an awesome job of repacking in the “Stick” to the red arrow tree. Then it snowed a bit more! I repacked today to the red arrow tree (it was definitely easier as Shawna and Eric had the tough hike for sure!). Upon my return to the parking lot, Tyler II was heading out and was going to try and give the stick another pack. I think by tomorrow if the trail sets in tonight we should be able to ride that section. That gives us 4KM one way. So then the plan will be tomorrow to ride in the 4km with snowshoes in a backpack, and swap to them and snowshoe the lollypop, then ride out. We’ll see how that goes. Other item to update. Snowmobile trails are groomed! That also means the parking lot has been cleared as well. So worse case we can get a good ride in on the Snowmobile trail. Please exercise caution if on the snowmobile trail and respect the folks on sleds out there. We have had nothing but positive experiences with the snowmobile folks out there. Well it was fresh tracks for us this morning! 8 riders and 3 snowshoers. We rode the Hill By-pass, Max trail, Ridge connector, Ridge, 3/4 Lollypop and Stick out. We all had a great ride and the trail is nicely set in and good to go! Just need to close the loop on the Lollypop and maybe try the Trail-to-Somewhere next ride. So hop on your Fat Bike and head out for a ride! Well twelve of us headed out last night not really knowing what to expect. We have experienced some great snow then a few days of above freezing weather afterwards then a temp drop and with an inch of fresh snow on Tuesday night. To start, it was great that everyone avoided the trails during the thaw, that made a huge difference…no ruts. We headed off a different way going off to the Hill Bypass, Max trail, Ridge Connector section. Only a few riders had been on this section and as of last Sunday it wasn’t very good to ride. Well last night it was awesome! So we linked in that section, did the Ridge trail…which was awesome, then a short reverse on the lollypop and to the Trail to Somewhere. End of awesomeness. No one had been on it at all so it was fresh tracks. At the front of the pack it was a really slog or more optimistically a really great work out. It was all rideable but one hill. But after twelve riders at the back of the pack…awesomeness was experienced! Then to the lollypop and stick out which was, well, awesome. So 12 riders and 18km ride of single-track, not bad for a Wednesday in December. Did someone once say “this Fat Bike thing is just a passing fad”? Don’t think so. Tyler II who is new this year to fat biking remarked that he never imagined winter riding to be so much fun. So keep on riding the Fat Bike. It’s just good for you to get into the woods. Awesome ride today. Trails were hard packed to the point where you could hear the Fat Bike tires humming! Got a solid 16km single track ride in which on snow, on a Fat Bike feels like more KM. Above freezing temps the next few days, best to avoid the trails until it drops below zero again to keep them un-rutted. Got out for a run this afternoon, the forest was beautiful and the trails are in basically perfect shape! It will be a great day for a ride tomorrow. Don’t have a fat bike? Borrow one, demo one or come out for a trail run, hike, snowshoe or XC ski. Trail update time! We’ll keep these brief. Stick, Lolly-pop & Ridge where all ridden last night and are nicely packed in and by today with the cold or likely very well set. Other trails are still likely rideable, just a bit tougher going. It would be great to get the Hill Bypass, Max Trail and Ridge Connector open. Maybe this weekend! It’s going to be fun to see how long we can keep the single track going this year. Part of the trick is that if you are out for a ride, try and keep making the trail wider by riding a bit on either side of the packed trail when you can. It will help us not end up with just a thin hard packed trail that if you veer off of you end up in deep snow. Have fun! Everything is perfect. All trails are cleaned, blown, major downed trees cleaned up, others now used as log overs. Oops, forgot to update! It’s good out there, all good. Dry & all cleaned up & ready to ride. Have fun! Lots of snow in the woods again. My suggestion would be if you can want until Sunday things should be great again. If you need to ride Sat you will get wet for sure! I’m running Sat aft so I’ll update then. Well a bunch of us as well as likely 50 others were out for a ride on Sunday, what a day! All the trails are in excellent condition so feel free to come out anytime. Karen and I and Max got out for a run today. Karen did the stick and I ran Ken’s to Steve’s…Max did both. Happy to report trails are all super dry! No mud, no ruts, no snow, completely Max approved! So if you are looking to go for a ride, everything is good. See you out there! Got out for a run last night and checked into the Stick and the west portion of the lollypop. Happy to report everything there looks great. Trails are definitely dry enough for skinnies now! No trail damage to really speak of from any of the riding so far. Tonight should be awesome for a ride and we will likely stick to the trails south of the main east-west fire road. Please note that this report does not extent to Ken’s, Steve’s, Wheel Hill, Trail to nowhere…I’ll try to go for a pre-ride hike and check into those tonight. Double track is still really soft. A bit of damp weather on Thurs-Fri to watch out for. I’ll get out Friday aft. for and update for the weekend. Regarding lights…if you have one I’d bring it along. It seems like it just starts getting dark as we are on the lollypop homeward bound but most of the ride is now in daylight. Come out and play…yeh Sunshine! See you tonight. We had our grooming team (11 folks on snowshoes!) out on the weekend to reset the snow on the single track. Half the group did and out and back on the “stick” and the other half made their way to the “pop” of the lollypop. The stick is completely done and all but maybe the last 700m of the pop is done as well. Once it drops below zero again, these trails should be again in excellent condition. Taylor is planning on a late week grooming of the 9km TVGFBL. The loggers are still busy in there and have taken some of the trail down to dirt. Hopefully it won’t ice up too much. We’ll see. Trails are all in great shape. Leaves are all packed down and traction is very good. Still one section on Ken’s Trail to be logged and that may or may not happen this year. Trail update…the logging is now complete on the stick and the trail has been restored and cleaned up. The tree on the uphill of the lollypop has also been removed. There is another section now being logged which will both be affecting a section on Ken’s/Steve’s trail (you will see blue flagging tape marking the trail) and the small pine on the beginning of the “Stick” (before Gorilla Mountain) which will soon be marked with orange tape. Please exercise caution on these sections of trail when the loggers are present. Trails are in great shape so keep on riding! Hey everyone. Just a little trail update…after the SSITT this weekend (which I must thank everyone for making this a great day and night. Everyone is awesome!) the trails are in superb condition! A heads up on the first half of the lollypop which was not in the race…Janet contacted me and reported that there is a large tree top down over the trail at the top of one of the hills. We had thought the logging was complete in this section, but maybe not. She has said that it is a chainsaw operation and too large to move as it is and as a result is a good size hike a bike. Hopefully they are still around and are able to move it. Also keep a heads up in the pine logging area. They are still in there and should hopefully be done by the end of the week. The trail is clear right now but that may change daily. Enjoy the trails and the fall colours! Trails are open and awesome! The stick, lollypop, trail to nowhere, the “wheel hill” and ridge trail are super clear and in great shape. Substance Projects held and event (H2i) on Saturday and the trails experienced no damage (only one wet spot for 200m) and are actually overall in better shape than before the race. Ken’s, Steve’s…haven’t been leaf blown yet but we rode them last Weds and they are clear of major debris, just small sticks and stuff left. So come on out and enjoy the ride. Did a ride (Monday) up to the Red Arrow tree. Slow tough grind all the way. Not due to the snow depth (2-6″) but due to the icy crust that you had to break through. Bernie was out in Dufferin last, below are a few photos. Dufferin is getting better all the time. We did get some snow last night / freezing rain, so that may take a couple days to go away again. Last night (Wednesday) it would be about 90% rideable for a skinny bike. Couple soft sections still, dont want to leave ruts. Below is a photo of last weekend’s ride. Forest Management Plan Update. I’m pleased to let everyone know that the Dufferin Forest Management Plan for 2016-2036 www.dufferinmuseum.com/forest/forc.html was accepted by Council last week. This Management Plan has been in the works for over a year and now the next step is to begin the process of developing the Recreation Plan for the County Forest. It was decided that all the past input from the surveys and public input is to be utilized in this development process, so thank you all again for the time taken in the past. I’ll update as things progress. I was out last night (Tues) on the lollypop and things keep getting better…less snow, still kind of soft. Not bad for Fat Tire bikes but I still can’t recommend skinny tires yet. There has been a skinny bike out and it’s mark on the trail was very obvious in the soft spots. Maybe another week or after the weekend. We’ll keep updating every few days as we are out there. We’re getting closer! This past weekend Bernie headed out to Dufferin Forest to check the trails, and snap some photos of the spring thaw. Check out the below! The double track is still very soft, so not recommended to ride on it. As you can see in the below there are sections that are clear, and there are sections with snow on it. Probably another week before she is all cleared up, but there is light at the end of the tunnel. Clean up is done at the logged section. A great group of 19 helpers made short work of cleaning up debris and rebuilding some of the trail. We had some extra time so we have started a new trail that will be expanded on later. No new logging expected until October so we should be in the clear until then. Trails are in great shape, likely need a full going through next year as the vegatation has been growing like crazy this year. Have a great time out there…. April 16th Update: Bring out the skinny tired bikes. Dufferin Forest is dry and ready to ride your normal bike! Put away the fat bikes. On Wednesday night, we finished the ride, with no mud on anyone! There are some small sticks down etc, so if you are riding there and come across something small, please kick it off the trail. There are also some new logs across the trail, we are hoping to make ride arounds and ramps for these new natural features! March 26th Update: With warmer temperatures and cold nights, main snowmobile trail is hard as a rock, and Icy in sections. Snow is disappearing fast, South Ridge trail is almost completely opened up. Feb. 18th Update: single track is in need of a warmer day to firm up but the snowmobile/double track is in amazing shape! January 15th update: Single Track is now amazing for 4km, the length of “the stick”. So that’s an 8km out-and-back all on trail! I’m going to try and snowshoe a bit of the “lolly” in order to link in with the snowmobile trail on Sat. I’ll update later…..
January 11th Update: So as of this weekend, the single track has become limited to about 6km….need to snowshoe more! The better news is that the snowmobile trail has been groomed! I think this is one of the later years that I can remember that the sled trail has come into play. So now you can ride as far as you like on the snowmobile trail, it goes on for further than you will care to ride! We managed an 18km out-and-back today. Not bad for January! One less ride to do this spring. LIVE UPDATE: as of Monday 10am the trail is definitely too soft to ride…keep on shoeing! Photo from this past weekends ride. This was taken at 11am, so not a lot of snow in the forest. The leaves made it a little slick, but all in all a lot of fun. Tyler was on a skinny bike, Mark and Ryan on Fat Bikes. Rode the North of 20 Trail, and the Lollipop Trail (or Africa). Did a ride this past weekend in Dufferin, the trails are in great shape still. The typical leaves on the trails, and a little dusting of snow in the forest, but nothing major. Skinny tires are more than adequate to ride out there!!! Head out and do a tour, it’s so nice to be out in the forest!! Thanks to a great turn out of 17 helpful hands, the trail that was logged this year has now been rerouted and completed. The loss of this trail meant having to ride a couple of KM’s of loose, sandy fire road–no fun. The trail now meanders up (or down) the “big sandy hill” section and has some things to keep it interesting. It was great to have so many people out volunteering their time and giving back to the trails. Thanks again to all that came out, your participation means so much to us. See you out there! So it seems like the logging has been competed for now on the “sandy hill” climb section of the forest. After many weeks of riding the loose sandy fire road around the logged section it’s time to rebuild the trail to avoid it. The trail was started last build day and Bernie and I marked out and flagged where we would like the building to continue to the top of the hill yesterday. Any help would be appreciated and we hope to get this done in one day. We will be able to transport tools and bodies to the trail building area. Start time will be 10am in the Dufferin Forest parking lot. Please R.S.V.P through the CONTACT US tab or let me know directly if you are coming as we would like to provide lunch for the volunteers and we need to know the numbers to be prepared for. Thanks for your help! The County of Dufferin is closing out their options for the public to comment on the Draft Plan for the Forest Management Plan for 2015-2035. They have done a great job in our opinion so far as they have created a recreation plan for the Main Tract which never existed before. We are quite happy with what is there and are trying to have two things altered which we hope fellow riders out there could e-mail comments regarding this. We would like to convince the Committee that separate trail usage should mean exclusive use and encourage the idea of exclusive trail networks for different user groups to avoid trail damage and user conflicts. On the second point, trail conditions in our opinion should be respected year round, not just in the spring so we would like to have “Most trails experience problems in the spring” omitted. regarding these suggested changes and any other comments you may have. Thank you to everyone who has helped on this project, so much has been accomplished thus far that could not of happened with out so much input from the mountain bike community. It’s been great to see that we can influence land managers and make a change. Thanks to everyone that has helped in this endeavour, the support has been remarkable. http://www.dufferinmuseum.com/forest/plan.html (click on draft recreation policy). Beneficial points to stress are for the single track to be designated as a exclusive separate hiking/biking trail, have a separate exclusive marked and mapped network for equestrians and to mark and expand the hiking/biking network. I would also like to say thanks to Sue and Mike at OCTRA, they have been wonderful to discuss issues with and to Caroline and the other committee members for taking the time to consider everything and create this Plan. I realize how much work this is and the difficult issues at hand to be considered. Thank you again to everyone who has taken the time. See you on the trails! Some important dates concerning the future of Dufferin Forest in Mansfield. The County is developing a 20 year management plan and will be holding public meetings. If interested here is the info for the public meetings regarding the Management Plan. The next meeting of the Advisory Team will be April 15, 7pm at the Sutton Room, 55 Zina Street, Orangeville to discuss the draft forest management plan (this is open to the public, but not for comment. We are still encouraging a show from the MTB community as a show of interest). Public open houses to review the draft forest management plan will be May 9, 3-8pm at the Sutton Room and May 10, 10am-4pm at the Dufferin County Museum & Archives which are open to public input. Anyone thinking of coming up to Dufferin to ride, you will not be dissapointed. The trails are good to go. After this past weekend and the hard work put out by team van goer’s and other volunteers, all the trails are ready to ride!!!!! Come on out and ride the trails!! They are free to ride, and ready to ride. Dufferin Trails are good to go! Well the Stick and Lollipop trail are anyways. A little patch of snow, but you can stay to the right or left to avoid it if you want. You can go out and ride there for sure now on any bike you have… unless it’s a road bike, then it may be difficult to ride…. Trails are in a lot better shape than they were last Wednesday. On the main Stick and Lollipop trail, I’d say there is about 90% of the trail open and free of snow. The other 10% are still just too deep for Skinny Tire bikes, and make them hike a bike sections. But the difference from last week to this week is night and day!!! We have not ventured onto Steve’s trail or Ken’s trail yet, but am expecting some snow still through there as they are in the lower lying areas. If you get out to Dufferin forest, do some exploring, pick up some small sticks off the trail, and enjoy the forest!! Trails are coming along really nicely, snow is melting and opening up the singletrack. There is still snow on the trail, but very little in spots, and about a foot of snow in other spots. Any South facing trails are in great shape, north facing trails are ridable but tough. We will check the trails this weekend, but with the drainage at Mansfield there little to no wet spots, just some stick debris, and the odd new log across the trail.